component of US meddling beyond its borders. October 6, 2014 (Tony Cartalucci - LD) - As momentum in Hong Kong's US-backed so-called "Occupy Central" protest falters, attempts to escalate chaos and provoke or perpetuate violence is generally the next step in any given US-engineered "color revolution." Not only is this a matter of simple observation, but a matter of documented fact as well. As such, observers must remain vigilant for such an escalation. Consequently, if the United States ever succeeds in sparking a revolt against the clerical regime, Washington may have to consider whether to provide it with some form of military support to prevent Tehran from crushing it. This requirement means that a popular revolution in Iran does not seem to fit the model of the “velvet revolutions” that occurred elsewhere. The point is that the Iranian regime may not be willing to go gently into that good night; instead, and unlike so many Eastern European regimes, it may choose to fight to the death. In those circumstances, if there is not external military assistance to the revolutionaries, they might not just fail but be massacred. Consequently, if the United States is to pursue this policy, Washington must take this possibility into consideration. It adds some very important requirements to the list: either the policy must include ways to weaken the Iranian military or weaken the willingness of the regime’s leaders to call on the military, or else the United States must be ready to intervene to defeat it." The United States could work with groups like the Iraq-based National Council of Resistance of Iran (NCRI) and its military wing, the Mujahedin-e Khalq (MEK), helping the thousands of its members who, under Saddam Husayn’s regime, were armed and had conducted guerrilla and terrorist operations against the clerical regime. Although the NCRI is supposedly disarmed today, that could quickly be changed. And of course, in the following years after Brookings' report was published, MEK was indeed delisted, armed, and funded before being attacked and nearly wiped out under the now US-ousted government of Iraq's Nouri al-Maliki. 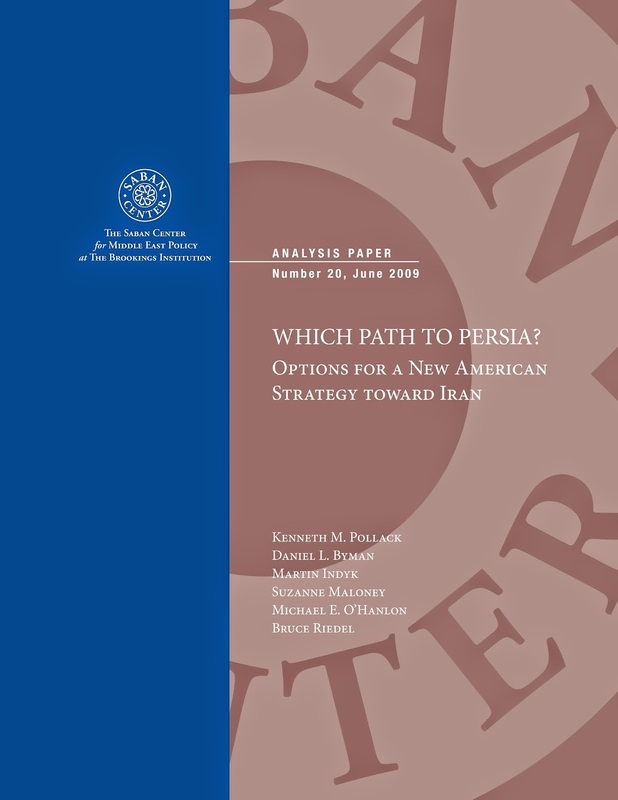 The Brookings Institution's report, "Which Path to Persia?" is a signed confession - a documented conspiracy that was demonstrably executed not only in Iran but also in neighboring Syria. While it's ultimate goal of toppling Iran's government has so far failed, there is no doubt that the criminal conspiracy found within its pages became US policy in both Iran and far beyond. It is an indictment against the legitimacy of US foreign policy, the tactics it uses to execute it, and the alleged causes of "democracy" and "freedom" it claims to be promoting while it does so. Image: Momentum wore out in US-backed demonstrations in Bangkok 2010.
exponentially. Similar tactics have been used in Syria, Ukraine, and Egypt. Like Hong Kong's current "Occupy Central" protests, there was another US-backed political network in Southeast Asia's nation of Thailand led by long-time US proxy Thaksin Shinawatra that was losing momentum. 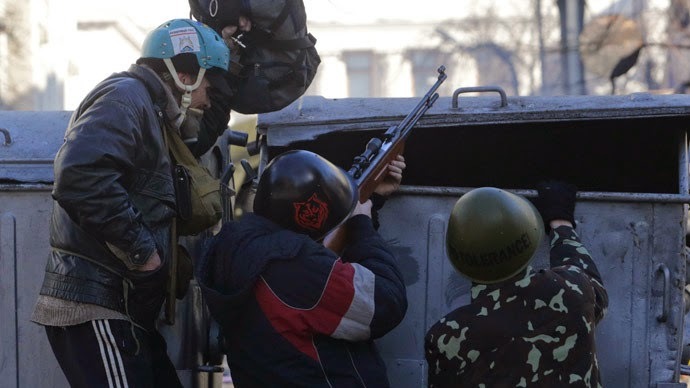 Their so-called "pro-democracy" protests began waning in April of 2010. After multiple attempts to provoke Thai security forces into violence, Shinawatra's political lieutenants deployed heavily armed militants to lay waste to protesters and security forces alike, killing some 25 people in a single night including soldiers and an assassinated Thai Army colonel who was leading riot control operations. 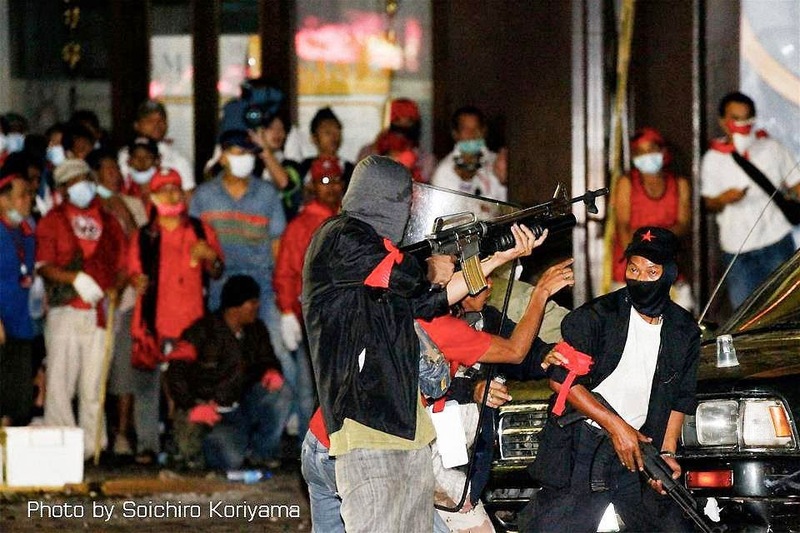 Altogether some 300 heavily armed terrorists would be deployed over the following weeks resulting in armed clashes in Bangkok's streets concluding in May and leaving over 90 killed and many more injured. While to this day Western media claims it was a military crackdown, irrefutable evidence including photographs, videos, and even admissions from the West's own Human Rights Watch confirm the presence of Shinawatra's armed mercenary force. Like what was planned in Iran by Brookings, and demonstrably carried out in nations like Libya and Syria - waning protests were quickly backed by heavily armed terrorists in Bangkok to prevent staged unrest from being contained by security forces. As momentum falters in Hong Kong's "Occupy Central," the possibility of its US sponsors carrying out staged violence to escalate tensions remains high. In what fashion such provocations manifest themselves in remains to be seen, but it is unlikely the West will allow their proxies to become so exposed upon the world's stage, only to allow local authorities to finally restore order, then quietly dismantle, perhaps permanently, Washington's network of sedition in Hong Kong. Onlookers must remain vigilant and quickly analyze acts of violence with the insidious nature of "Occupy Central's" true leadership and foreign sponsors kept in mind. For Hong Kong's authorities, they must resist attempts by protesters to provoke them into violence and be vigilant of false flag violence. For the protesters themselves, they must be aware that their lives are seen as utterly disposable by both "Occupy Central's" leadership, and their foreign sponsors. While their intentions may be pure, their leaders are confirmed to be compromised agents of foreign sedition. As was the case in Bangkok in 2010, US-backed political fronts can and have in the past opened fire on both their own supporters and state security forces to escalate tensions. The West's "mystery gunmen" have found themselves employed everywhere from Libya and Syria, to Egypt and Ukraine, as well as Southeast Asia's Thailand. It is not entirely unthinkable that the US may use similar tactics in Hong Kong, or other troubled spots the US is stoking chaos in such as China's western province of Xinjiang or Tibet.